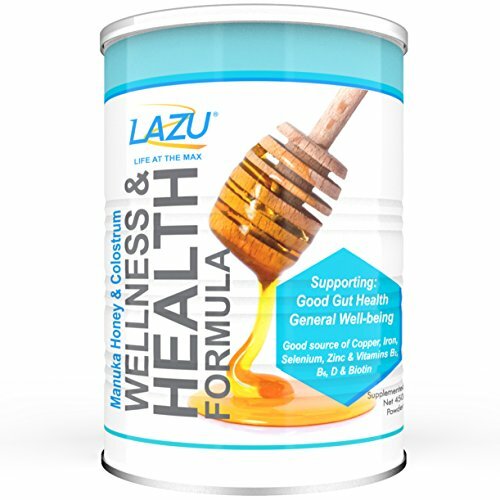 Lazu Health and Wellness Formula with Manuka Honey and Colostrum is a unique blend of powders creating a highly nutritional, delicious drink for the start of each day. It is a unique product that combines the benefits from New Zealand Manuka honey and colostrum, fortified with scientifically chosen vitamins and minerals specifically aimed at maximising body performance. Each tin provides a months supply for the user, just mix 2 scoops with water for a delicious, healthy start to the day. Lazu is a homegrown New Zealand brand from Healthy Start NZ. We represent health, vitality and life. We promote this through our products. We want you to keep active and do the things in life that matter, whatever your age. Whether that’s playing with your children or grandchildren, gardening or travelling the world, we want you to feel fantastic. Radiate health and energy from the inside out.